How do we make a future that works for all of us? How do we support a non-partisan people’s agenda—a platform for us which recognizes and advances the needs and desires of all people to thrive in a healthy and just world? Building a world that justly serves people requires that we all step up and participate, starting with political participation. Real change starts at the grassroots. Precinct caucuses are a grassroots, ground level way for you and me to get involved and be heard, even if we have never participated before. This is the first level of the political party structure. The main functions are to meet and support candidates, present and vote on party resolutions, and elect delegates to the party conventions. Precinct caucuses happen in every county and take place on Tuesday, February 6, 2018. Getting involved in shaping a better world is more than voting. CURE wants you to be ready. 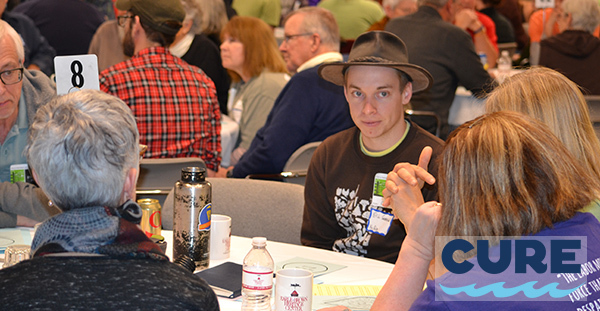 In January and early February 2018, CURE’s Rural Democracy is presenting The Art of Caucusing training throughout west central and southwestern Minnesota. This training will teach you what caucuses are, how to participate, and how to write, present, and advance resolutions. The democratic process does not stop after the caucus; you will also learn about what happens at your County, Senate District Convention, Congressional District, and State Conventions, and how you can be a delegate who further advances a people’s agenda. At your caucus and conventions that follow, we want you to talk to your neighbors about what you value and to make new connections. More likely than not, you and your neighbors share similar feelings about supporting progressive policies that create thriving communities, vibrant ecosystems, fair and affordable healthcare and education, and healthy families. You have the power to shape the issues and political environment. You can elevate a vision for rural Minnesota. You can move candidates to talk about a better agenda for all people in rural Minnesota and—have them commit to working on those issues. You can shape the campaigns and hold candidates accountable. It all starts with getting involved and empowering yourself. To register CLICK HERE or contact CURE’s Rural Democracy project at peg@cureriver.org or 320-269-2984. Event check-in starts at 6:00 pm and the training starts at 6:30 pm. This training is in conjunction with Our Minnesota Future.